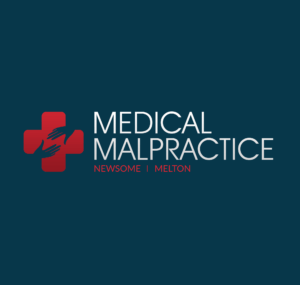 Medical Malpractice Help » Medical Malpractice Causes » Injuries from plastic surgery » Can Patients Sue For Injuries From Plastic Surgery? The number of people choosing elective cosmetic, or plastic, surgery has increased drastically since 2000. Even the recession that began in 2007 hasn’t stemmed the desire for cosmetic surgery, according to a report from the American Society for Aesthetic Plastic Surgery. Americans underwent more than 1.6 million elective cosmetic surgeries in 2010 alone, according to the report. The Mayo Clinic defines cosmetic surgery as any surgical procedure intended to alter a person’s appearance by changing a body part. Sometimes the surgery alters a healthy, functioning body part to improve an individual’s appearance. In other instances, it may repair scarring or disfiguring related to injury, disease or a birth defect. Every cosmetic surgery patient is entitled to care from a physician board-certified in plastic surgery. For most patients, the surgery and recovery process go smoothly. An unfortunate minority, however, receive their procedures at the hands of unqualified surgeons. Burgeoning demand has resulted in increasing numbers of doctors without board certification offering cosmetic surgery to their patients. Cosmetic surgery complications are typically rare. A 2004 study published in the journal Plastic and Reconstructive Surgery found that serious complications developed in one in every 298 plastic surgery procedures performed between 2000 and 2002. That rate is similar to frequency of complications from other types of surgeries. As more unqualified doctors perform the operations, however, complications could rise significantly. These complications can leave patients disfigured or burdened with long-term medical problems. Their victims often need follow-up corrective surgeries. They may suffer loss of employment and income, ongoing pain and emotional distress. Fatal complications can leave a patient’s family struggling with the death of their loved one, medical and funeral costs, and loss of income or inheritance. Breast augmentation: Breast augmentation complications range from incorrectly sized implants to serious scarring, infection and a condition known as capsular contracture. In this complication the scar tissue around the implants shrinks and thickens, causing hard, misshapen breasts. Rhinoplasty or nose reshaping: Rhinoplasty complications include breathing difficulty and assymetry of the healed nose. Eyelid surgeries: Eyelid surgeries sometimes cause nerve damage or chronic dry eye. Excessive tissue removal may make it impossible for the eyelids to close. Heavy scarring requires additional surgery. Liposuction: Liposuction patients risk a number of complications. Numbness around the surgical area, organ penetration or abdominal perforation requiring additional surgery, internal bleeding and disfigurement or death are possible. Tummy tucks: Tummy tucks may result in permanent scars, including keloids or hypertrophic scarring. Some patients have excessive bleeding or blood clotting or post-operative infection and swelling. Other complications include chronic numbness or hypersensitivity at the surgical site. Irregular contouring and skin pleating require surgical correction. Other cosmetic surgeries, including breast reductions and facelifts, all carry risks of disfigurement or adverse health effects.